Owls are a big favorite in our house. I told my little guys I would make them owl ornaments for Christmas, but never had the time. They still asked about them after Christmas then finally gave up on me, so I surprised them with little owls yesterday. We will be hanging them in their room. 5. 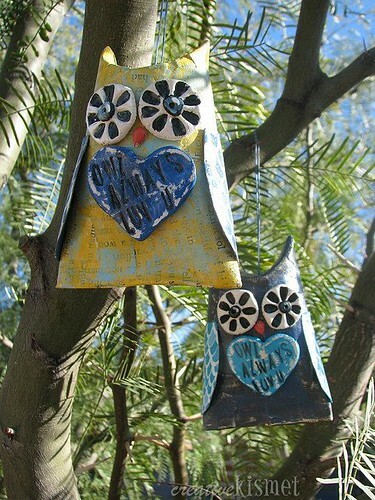 Mod-podge with paper scraps. 6. 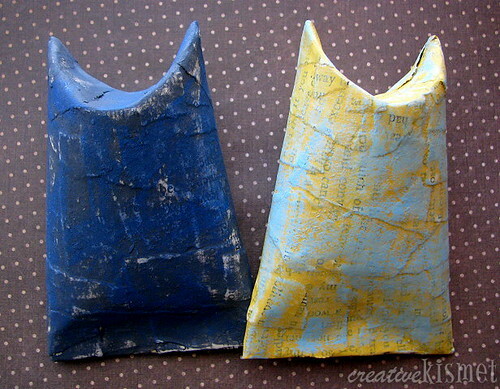 Make wings out of another TP roll and paint them (i used acrylic craft paint). 7. 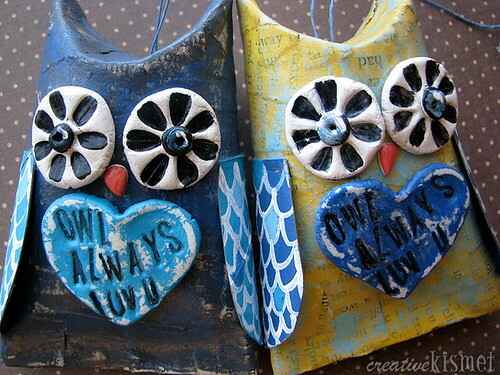 Make eyes, beak and heart with paper clay. Stamp heart with message and allow to dry. 9. Assemble with white glue and allow to dry completely. 10. Poke hole through top and add string. This entry was posted in Fun kid stuff, i make stuff, Tutorials, how to. Bookmark the permalink. These are amazing, Regina! I love them so much! And thank you for generously showing us how to make some for ourselves. I love your unique touch that you’ve put on them, though, they’re so “you!”. LOVE these Regina, they’re so cute! i’m sure your boys were thrilled! i totally want to make these with my kids and their friends. thank you for the tutorial. I hope you do get to make these–it’s a fun project. Darnit! We switched over to that Scott t.p. that doesn’t have a cardboard roll in the middle. These are so cute! So very sweet and clever! Aw, Thanks. Hugs to you too! super cute! i’m totally going to teach my little after school art class these guys – they will love them. thank you! i’ll share pictures when we make them. Holy tamoly that is so stinkin’ cute!! I found u via Allen designs…can’t wait to peek a little more into your blog. Have a great night! 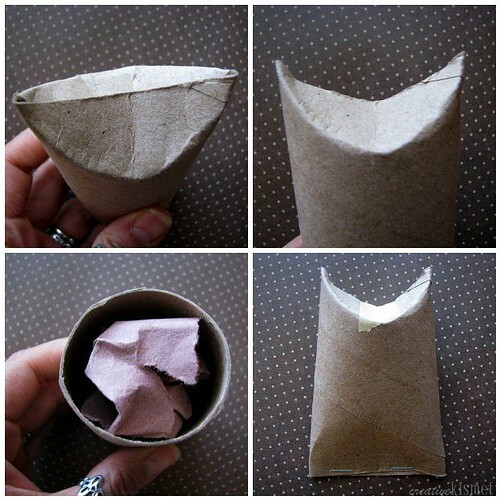 I pinned one of these on my “To Make” board on Pinterest and credited you in the description. Is that OK? I will delete it if you’d rather not have your photos on Pinterest. Thank you! I’m going to teach my little pupils to make such owls. We make toys from clay and other materials. Hi! 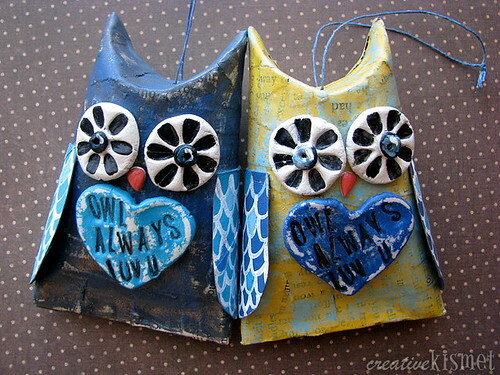 I love the owls and would love to make in a middle school craft class I am teaching, however, I do not know what paper play is, the material used to make the eyes and heart, etc. Help! Thanks for posting! Can you explain paper play? Thank you for a great project. Where did you get the ‘Owl always luv u’ stamp? Can’t find it anywhere!! I used rubber letter stamps to make the phrase. Thanks for stopping by!